Plans have been submitted to build over 30 new homes on an unfinished site in Cefn Mawr, it has been announced. Councillor Derek Wright, who represents the Cefn ward, says an award winning architecture firm has submitted plans to build 33 dwellings at Heol Berwyn. He added that the site was left uncompleted by Harron Homes, who claimed that they were unable to finish the project following the 2007 financial crash. Susan Elan Jones MP, who has also been involved in the campaign to restart development at the site, said: “I am delighted to hear this news. “Derek has worked tirelessly to get this project moving and it is good to know that 33 new homes will be created in our constituency, especially at a time of serious housing shortages across the UK. 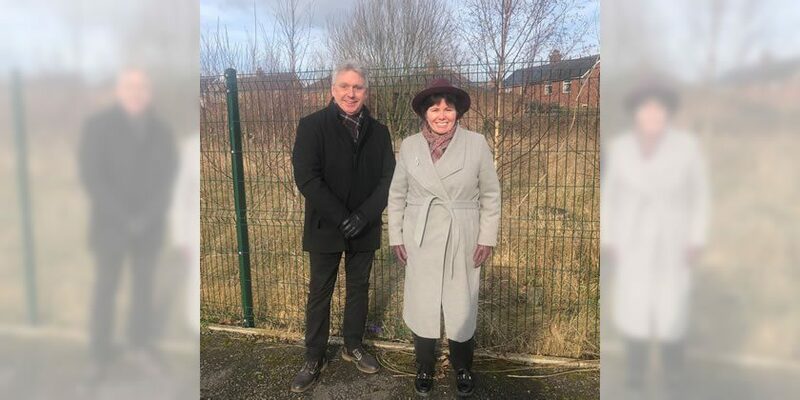 “I know that many constituents were concerned that the unfinished site would potentially attract anti-social behaviour and that the unfinished sewer system would attract vermin, so I am sure this fantastic news will be a huge relief to many”. Cllr Wright added: “This really is great news for our community. “I know that some people I’ve talked with wanted the land to be used to graze cattle and horses, but as the land is privately owned, this was not possible. However, this news represents a real step forward. Read 1,128,339 times in last 30 days, and 73,932,565 times since we started in 2011.